DAVID LE/Staff photo. 3/5/15. 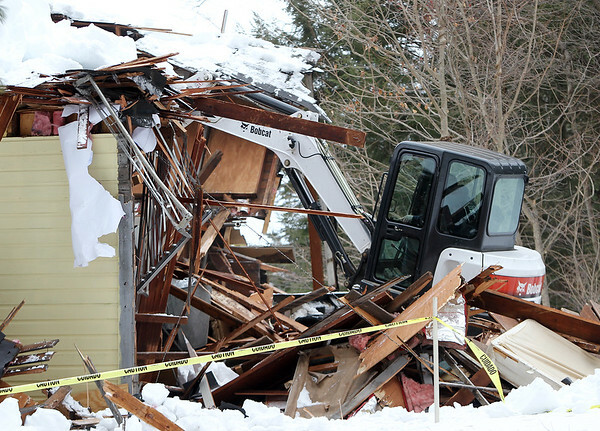 A bulldozer rips down the roof of a house in Asbury Grove on Thursday after the roof collapsed under the weight of snow.